The main idea of writing a current event essay is to describe an actual and interesting situation, in most cases, important for the audience. In our era of globalization access to information is very easy, so one can be familiar with plenty of articles or analyses. The same is with the authors; they write on current essays for two main reasons: to gain more popularity (most often in internet blogs), and to launch a discussion on a topic. In brief, one is able to search for information, or can rely on the “new media” (internet media). However, an essay can influence the way in which a reader perceives the event in question. For that reason it is very important to follow moral principles of journalism and try to be as impartial as possible. Describe the events and analyze them without unnecessary rhetoric. which media has covered the event and when? The reader probably knows about this event, but it is always better to say a little bit more. Thus, you will sound more reliable and attractive. This passage should not exceed five or six sentences, unless you plan to write a long essay (five pages or more). In the current event essay describe: What happened? When did it happen? Where did it happen? Who was involved? Why did it happen? What are the consequences? Which media has covered the event and when? This is required in order to prove that the event in question has really happened in the way described by you. Refer to articles, chronicles, authoritative newspapers, photos, etc. In some cases you will need to translate a given article or a passage, or to rephrase a piece of text written in another language (don’t use Google Translate for this purpose). Many blog users merely copy and paste articles from other sources. If you just want to do it in the same way, why do you bother at all? It’s just a waste of time. Write your essay only if you have something new or important to tell. Of course, there is no way to describe an event in a completely objective way. There are always causes, factors and details from the background which we do not know or we do not have access to. Notwithstanding, try to represent different views on the subject. Analyze the issue critically; are all details available, or is there any secret or anything hidden? Is it possible that the information is distorted? The best way here is to visit the place personally where the event has taken place; if it’s not possible, you should at least speak with someone who knows the situation in the region or the people living there. We cannot judge only from what we have seen on TV. If the event has not taken place yet, you can write what you expect. A good journalist should be able to make good predictions. Conclude your article with such a prediction and justify it with appropriate argument/s. Thus, your current event essay will seem more convincing and informative. 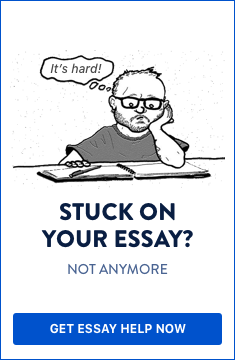 Do you need help with writing a current event essay?